We are delighted to announce that our Date & Coconut Spelt Muesli won Gold at the Taste of the West Awards last week. Our delicious Date & Coconut Spelt Muesli was a hit with the judges at Taste of the West. 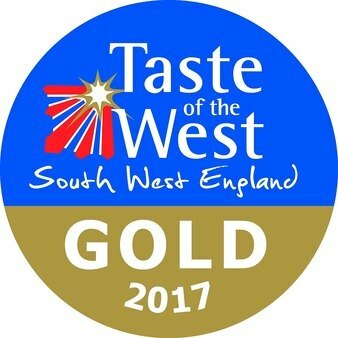 Taste of the West was formed 25 years ago with the mission to promote the fantastic food and drink that is produced right here in the West Country. Having run the most prestigious Food and Drink awards for many years they aim to share the best and most delicious products from the region with the rest of the world. Industry experts judge over a thousand products every year to make sure they give the accolade of a Taste of the West Award to only the very best. 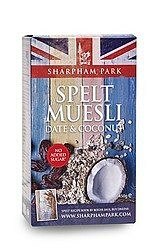 Spelt’s distinctive nutty, almost malty sweetness makes our Date & Coconut Spelt Muesli unbelievably moreish. It’s a delicious mix of toasted spelt flakes, barley and oats, naturally sweetened with chopped dates and sultanas and finished off with a crunchingly good mix of coconut chips, sunflower and pumpkin seeds.